Trash containers and dumpsters need to be able to take a beating and so do their casters. The constant lifting, dropping and moving of a trash container causes quicker wear and tear than nearly any other caster application. Carrying brands such as Albion , Darnell-Rose and Colson, CasterDepot is able to provide you with a mobility solution for the dirtiest of uses. 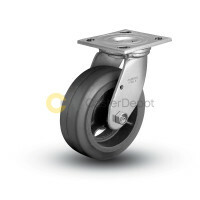 Our large selection includes features like kingpinless and stainless steel casters. We also offer many other customizations like brakes, thread guards, swivel locks, swivel seals, and a large selection of bearings. 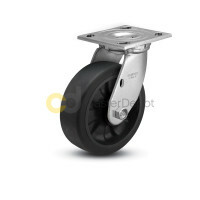 At CasterDepot, you’ll be able to find the best and last casters your trash container may ever need.